In only 2 interactive minutes you get to know all essential information about freeInduction Plus for cooktops. In only 2 interactive minutes you get to know all essential information about NEFF CircoTherm®. In only 2 interactive minutes you get to know all essential information about refrigeration and the modularFit system. In only 2 interactive minutes you get to know all essential information about the inductionAir System. In only 2 interactive minutes you get to know all essential information about the Domino ventilation module. 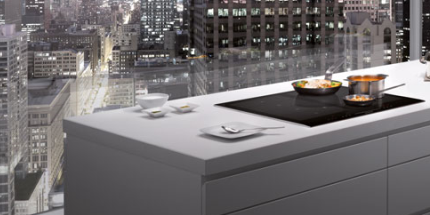 In only 2 interactive minutes you get to know all essential information about the modulAir system and ventilation on the cooktop. In only 2 interactive minutes you get to know all essential information about dishwashers with PerfectDry / Zeolith®. In only 2 interactive minutes you get to know all essential information about VitaFresh pro. In only 2 interactive minutes you get to know all essential information about induction cooktops with flexInduction Plus.